I finally know what it feels like to hit the jackpot of a number one hit on Google. 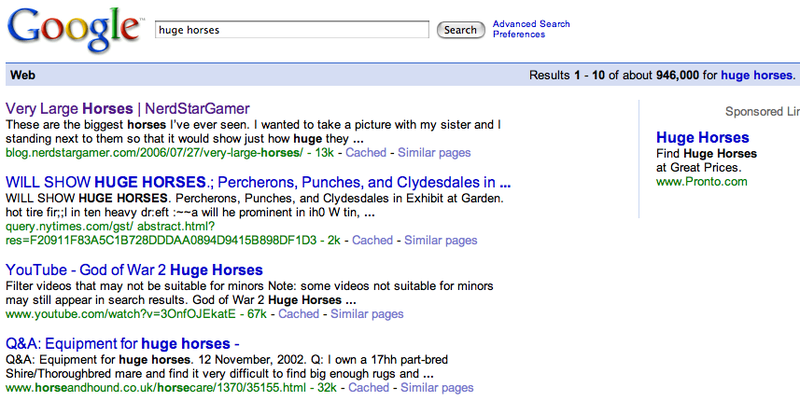 This blog is officially the number one hit for the search “huge horses“. All of this is stems from this single post, almost two years ago. Odd indeed.